The homeowners who live in Hartmanns Trailer Court in Libby have bought the community from the previous owners. The community now known as Libby Creek Community is a new resident-owned community that has formed a nonprofit cooperative corporation managed by its members. 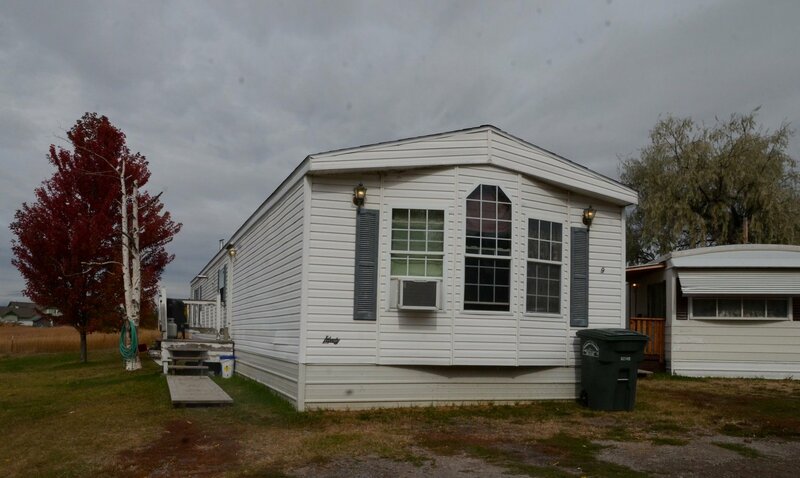 In most manufactured-home parks, homeowners own their homes and pay a “lot rent” or “lot fee” to the park owner for the use of the land. In resident-owned communities, the lot rent goes to the cooperative and is used for the good of the community. Housing that is affordable to working and low-income families is disappearing across Montana. Resident-owned communities preserve an important source of unsubsidized affordable housing for working families, seniors and people with low incomes. In most places in Montana, owning a home in such a community is about half as expensive as renting an apartment. Danielle Maiden, the cooperative housing specialist for NeighborWorks Montana, was the lead staff person on this project. She grew up in Libby, graduated from Libby High School in 2004 and has a strong connection to the community. The purchase was financed by Glacier Bank and NeighborWorks Montana. There are 12 homes in the community. The co-op members elect a board of directors to conduct the day-to-day business. Libby Creek is the 10th resident-owned community in Montana. The resident-owned communities program helps to provide safe, secure and affordable housing in perpetuity, and it eliminates the fear of rent increases or being evicted without cause, according to NeighborWorks Montana.